Gloves that protect against viruses, bacteria and fungi. Acceptable Quality Level = procedure for determining quality. 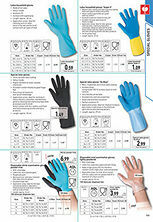 The DIN EN 455 defines a tightness value of at least 1.5 for medical disposable gloves. In case of latex allergy, employers must provide latex-free gloves. 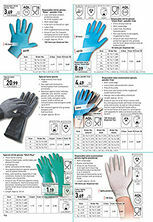 sturdy and durable disposable gloves that are pleasant to wear. Ideal for medical work and food processing sectors.